This Report aims to cast light on the conditions experienced by often invisible minority migrant workers in the Caribbean, looking at established patterns and newer forms of migration. It examines the continuing plight of Haitian cane-cutters in the Dominican Republic, as well as the situation of those employed in other sectors of the economy. Exploring further dimensions of the Haitian diaspora, it assesses the growing controversy surrounding many thousands of people born in the Dominican Republic but denied Dominican citizenship. The author, James Ferguson, also considers how and why a significant number of Dominicans escape their own country in search of a better life. 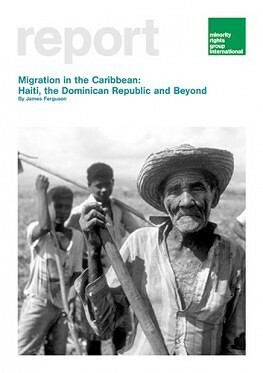 The report concentrates on the island of Hispaniola, shared between Haiti and the Dominican Republic, for the issue of migration is most acute and controversial here, but also considers less-known migrant experiences in the Caribbean. Migration in the Caribbean: Haiti, the Dominican Republic and Beyond concludes with a set of recommendations aimed at the Haitian, Dominican and other governments.